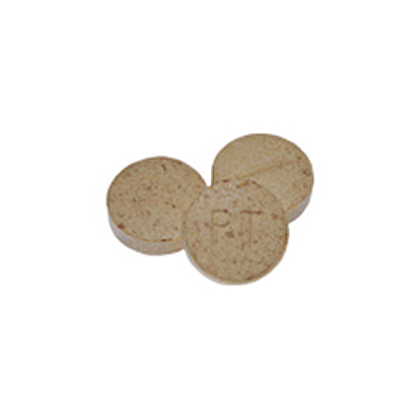 Pet-Tabs are vitamin and mineral supplement tablets for dogs, containing 18 essential vitamins and minerals. 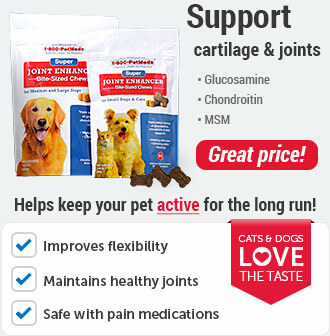 Given daily, this highly palatable meat-flavored tablet will help maintain your dog's nutritional balance. 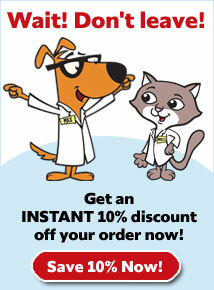 Pet-Tabs are a tasty way to help correct nutritional deficiencies resulting from loss of appetite or a poor diet. 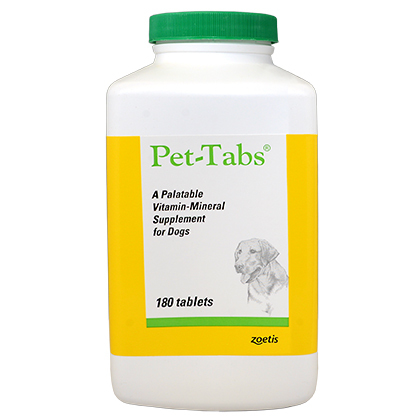 Pet-Tabs contain numerous vitamins and minerals to assist in supplementing average daily nutritional needs. To retain freshness, the bottle should always be tightly closed. Keep out of reach of children and pets. 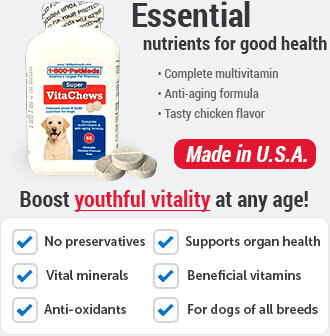 Pet-Tabs are a daily vitamin and mineral supplement for a healthy dog. 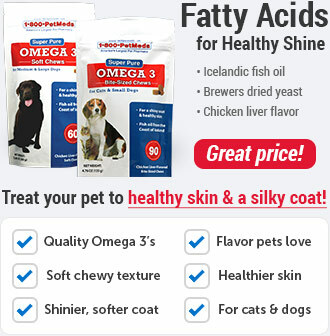 Pet-Tabs are meat-flavored tablets that help maintain a dog's nutritional balance. Pet-Tabs are for dogs only. Do not give to cats. Administer by hand just prior to feeding or crumble and mix with food. Store at room temperature. 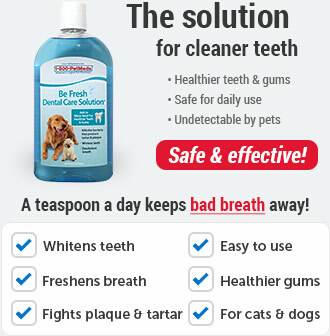 Keep bottle tightly closed to preserve freshness. Keep out of reach of children and pets. 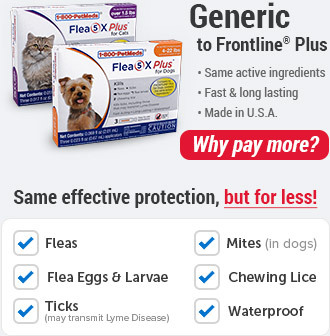 Other Ingredients:Wheat Germ, Kaolin, Corn Syrup, Pork Liver Meal, Dicalcium Phosphate, Sugar, Lactose, Safflower Oil, Gelatin, Corn Starch, Stearic Acid, Niacinamide, Hydrolyzed Soy Protein, Iron Oxide and Proteinate, Magnesium Stearate, dl-Alpha Tocopheryl Acetate, Vitamin A Acetate, Zinc Oxide, Riboflavin-5-Phosphate, Thiamine Mononitrate, Pyridoxine Hydrochloride, Vitamin B12Supplement, Manganese Sulfate, Copper Acetate Monohydrate, Vitamin D3Supplement, Cobalt Sulfate.